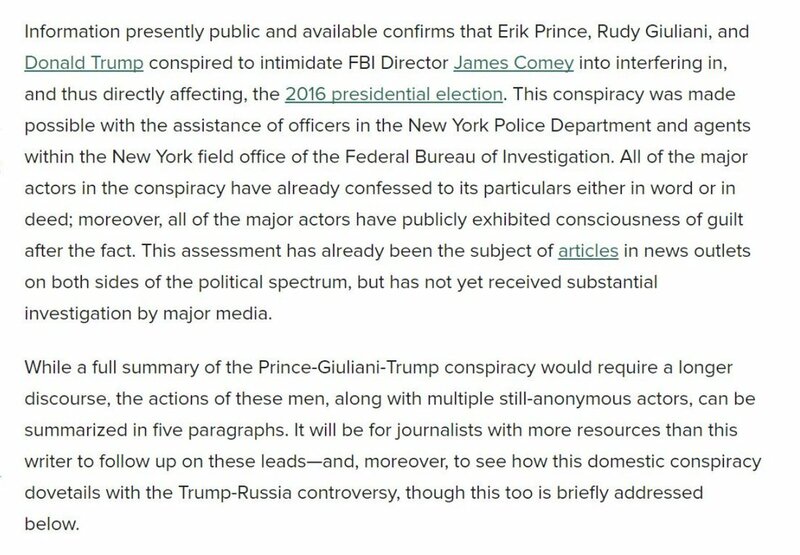 Thread by @SethAbramson: "(THREAD) The inability of U.S. journalists to understand three key legal terms—PROOF, INDICTMENT, and CONVICTION—is making discussion of the […]"
3/ I'm putting aside non-journalists like @KimStrassel, who willfully abuse the terms PROOF, INDICTMENT, and CONVICTION to score political points: my focus in this thread will simply be on educating actual journalists (print, radio, TV, and digital) who want to stop *messing up*. 4/ Once you've read this, I ask that you consider not just retweeting it but tweeting it "at" journalists (print, radio, TV, digital) when they *mess up* in using these 3 key legal terms—because when they do, they're *misinforming America on the most important story of our time*. 5/ Below is the definition of PROOF. Note that "proof" is simply *any* evidence that is probative, meaning—if you're on one side of an issue in a legal case—"proof" is *any* evidence that tends to make your position on a matter in dispute *more likely*. I'll give some examples. 6/ Let's say that—in an arson case—one of the "matters in dispute" is whether the defendant in the case was living on the west side of Akron, Ohio or the east side of the city on the night of the fire. *Any* evidence that tends to make *either* proposition more likely is "proof." 7/ From that example, you'll see that you can have a) very *small* amounts of proof, and b) proof on *both sides* of a question. So one might say, "There's a great deal of proof that the defendant was living on Akron's west side—and very little proof he was living anywhere else." 9/ If *every piece of evidence* as to where the defendant was living on the night of the fire indicates he was living on the west side of Akron—and *none* of it indicates he was living anywhere else—we would say that there is "no proof" the defendant was living on the east side. 10/ Sometimes—*but only sometimes*—we use the word "proof" in legal cases to represent the amount of evidence we have on the "final question" in the case: in a criminal, the question of whether the defendant (let's say in our hypothetical arson in Ohio) is *guilty or not guilty*. 11/ In the United States, the most serious criminal cases are classified as "felonies" (rather than "misdemeanors," which are less serious and carry smaller penalties). Felonies are brought into the U.S. criminal justice system by means of a document that we call an INDICTMENT. 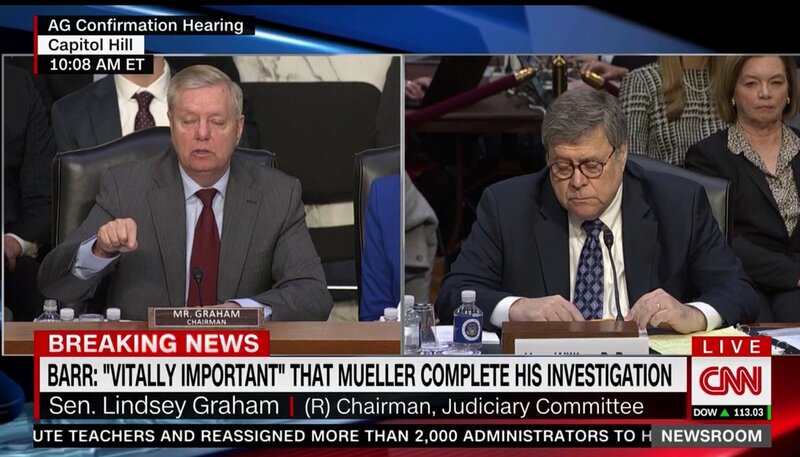 12/ INDICTMENTS require a certain amount of PROOF on the "final question" of whether a defendant is guilty or not guilty, a determination often—but not always—made by a grand jury, which is a large body of average citizens called to act as "grand jurors" for a set period of time. 13/ The level of PROOF required for a prosecutor to get an INDICTMENT of a defendant—that is, the amount of evidence on the question of whether a suspect is guilty that a prosecutor must have to move a case into the criminal justice system—is set at the level of "probable cause." 14/ So let's return to our hypothetical arson case in Ohio. Imagine that a prosecutor in the jurisdiction that could bring the case says to a colleague of hers, "I don't have enough proof he did it to bring an indictment." Does that mean there's "no evidence" or "no proof"? *No*. 15/ What it'd mean is there was "insufficient proof" on a matter in dispute—the suspect's guilt—to reach the "probable cause" standard of proof needed for indictment. We almost never encounter cases with "no evidence" or "no proof"—as how was there ever an *investigation*, then? 16/ The position taken by Trump's defenders in the Trump-Russia case is *so insane* that it never had *any* chance of being accurate: *unless* journalists played along by misusing key legal terms. Here's what Trump's defenders say: there is "no evidence"/"no proof" of collusion. 17/ That's right—the *insane* position held by Trump's defenders is *there never should've been any investigation of Trump* because *there was never a SCINTILLA of evidence he did anything wrong*. When we say there wasn't a SCINTILLA of evidence, it means there was zero evidence. 18/ And yes, SCINTILLA is used as a legal term in our criminal justice system, nearly always in the following sentence: "There's not even a SCINTILLA of evidence..." or "There's not even a SCINTILLA of proof..." That's what Trump's defenders say about collusion *and* obstruction. 19/ OK, returning to our arson case in Ohio, let's now imagine that our hypothetical prosecutor in Akron has enough PROOF on the matter of the suspect's guilt (namely, PROOF at the level of PROBABLE CAUSE) to secure an INDICTMENT. How does she win her case once it gets to trial? 20/ The answer is that our hypothetical prosecutor will need to have PROOF at a much higher level than PROBABLE CAUSE—rather, at the level of BEYOND A REASONABLE DOUBT—to secure a CONVICTION (a term meaning a decision by a judge or jury than a given defendant is in fact guilty). 21/ Now we come to the *one spot* where things get tricky, so if you've been following along so far, make sure you have everything in this thread on lockdown before proceeding further. The next step in understanding these terms is where *every* journalist seems to get tripped up. 22/ Under the ethical guidelines governing prosecutors' work, they're not supposed to seek an INDICTMENT of a defendant *unless and until* they believe they have enough PROOF to secure a CONVICTION, as well. This is confusing because it involves looking at *two* levels of proof. 23/ Back to that hypothetical arson in Ohio: imagine the prosecutor knows she has enough PROOF—that is, at the PROBABLE CAUSE level—to get an INDICTMENT, but thinks a jury won't CONVICT the defendant because there isn't proof BEYOND A REASONABLE. Can she proceed with her case? 24/ It's sort of a trick question, as of course the answer is "yes she *can*—but she's not *supposed* to." In the example I just gave, the prosecutor could INDICT the defendant—she has enough proof for that—she just wouldn't do so (if she's ethical) because she can't CONVICT him. 25/ What we learned on Sunday is that Robert Mueller—who's an *ethical prosecutor*—believed he did not have enough PROOF of conspiracy (he did not, apparently, consider any other charges that would fall under the broader heading of "collusion") to get a CONVICTION on that charge. (1) Did Mueller have a SCINTILLA of PROOF of conspiracy? (2) Did Mueller have enough PROOF to INDICT? (3) Did Mueller have a SCINTILLA of PROOF of non-conspiracy collusive crimes like bribery or obstruction? 27/ Until we see Mueller's report, we can't answer those questions. But it's entirely possible Mueller had PROOF of conspiracy enough to INDICT (i.e., at the level of PROBABLE CAUSE) while not believing that he had PROOF that was BEYOND A REASONABLE DOUBT (enough for CONVICTION). 28/ Because COLLUSION is a non-legal term far broader than CONSPIRACY—the latter of which is defined as "an agreement to act toward an illegal end"—actions like writing a fake statement about your contact with Russia to protect both you and Russia could be considered "collusion." 29/ Just so, while in the midst of business negotiations with the Kremlin, asking the Kremlin to hack a political opponent—which they then do within 1 day—is collusion. So is knowingly employing a Kremlin agent. So is keeping a secret—with the Kremlin—about your business deals. 30/ So is firing the man investigating you and Russia, then bragging to Kremlin agents that you've now protected both them and you. That, too, is collusion—even if it isn't conspiracy because it didn't involve an explicit or implicit "agreement" but rather you acting on your own. 31/ Before I get to the final part of this thread, I want to distinguish between EVIDENCE and PROOF. In short, PROOF is a *type* of EVIDENCE. For instance, if a cop in our imaginary arson case finds a spoon he thinks proves something but doesn't, it may be EVIDENCE but not PROOF. 32/ So when Trump defenders say "no EVIDENCE" what they *really* mean is "no PROOF"—though they're ridiculously misstating their case in both instances, as they're misusing both of those terms. And the same is true when journalists misuse the phrases "no EVIDENCE" and "no PROOF." 33/ Back to Barr's letter: all we know from it is that Mueller felt he didn't have PROOF at the level of BEYOND A REASONABLE DOUBT on a sliver of the collusion question—whether Trump was engaged in a "conspiracy" with either of two Russian entities, the IRA or the GRU. That's it. 34/ Because you *can* collude through obstruction of justice, and because Mueller *did* say he found PROOF of that crime (in fact, may even have found enough to CONVICT, we don't know because he chose not to draw a conclusion on that issue) we *know* he found PROOF of COLLUSION. (Q) Did Mueller find PROOF of COLLUSION? (A) Yes, as to acts of obstruction constituting "collusion" in the broad sense, and *possibly* as to conspiracy—we don't know yet, but it's likely he found *some* proof of that. (Q) Did Mueller find PROOF of OBSTRUCTION? (Q) Did Mueller find PROOF of COLLUSION in forms besides conspiracy or obstruction, such as bribery? (A) We don't know. We'd have to see his report. It's entirely possible he did, and then passed it off to the other federal jurisdictions investigating those issues. 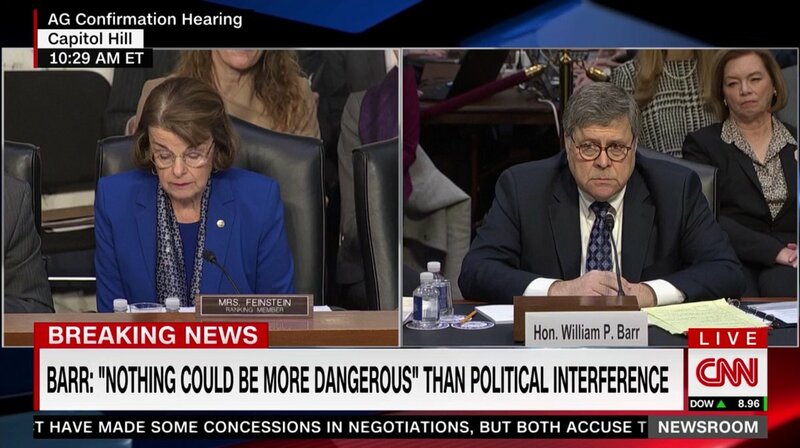 1) "Barr & Rosenstein Conclude Mueller Doesn't Have Evidence Trump Obstructed Justice"
2) "Barr: Mueller Finds No Proof of Collusion, Doesn't Offer Judgment on Obstruction." Hopefully you see the problems now. *Now* both @maddow chyrons are correct. 39/ You know who *never* misuses these terms? ADAM SCHIFF. So now Republicans are calling for Schiff to resign his post on the Intelligence committee because he has all along *accurately* used the terms EVIDENCE and PROOF, for instance by saying we have "EVIDENCE of COLLUSION." 40/ As you can see from this thread, Schiff is *also* correct to say we have "PROOF of COLLUSION." He is *also* correct to say we have *lots* of "PROOF of COLLUSION." He would *even* be correct to say we have enough evidence of certain types of COLLUSION to CONVICT people for it. 41/ I published a book called PROOF OF COLLUSION—and it contains *exactly* what the title says it does. *Reams* of it. Republicans may read it and decide that there isn't enough PROOF in the book to CONVICT someone for a collusive crime like CONSPIRACY, but that's their business. 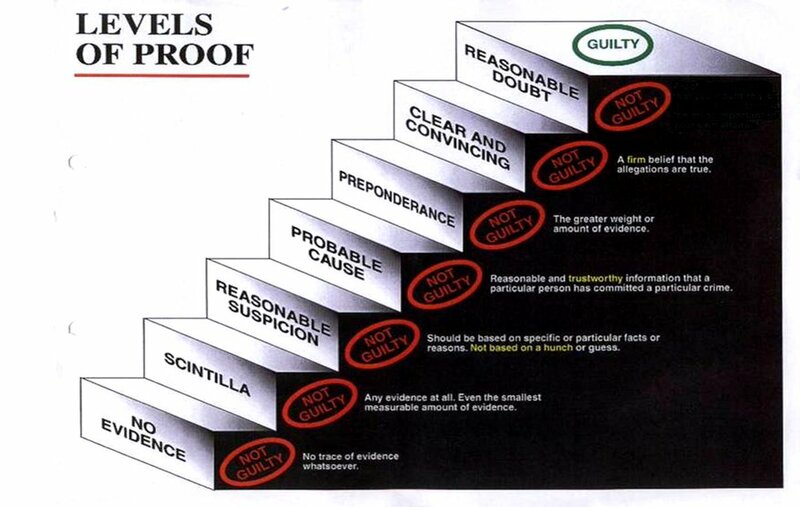 42/ On this feed, I often (as lawyers typically do in colloquial conversation) attach *percentages* of PROOF to certain standards of proof, like saying that PROBABLE CAUSE is 25% or so PROOF that someone committed a crime, while BEYOND A REASONABLE DOUBT is more like 90% or more. 43/ What this means is that for Mueller to have said he did not have enough PROOF to CONVICT Trump or his associates for the narrowly drawn act of collusion known as CONSPIRACY, he could well have had 80% PROOF that CONSPIRACY was committed, but simply not 90%+ PROOF. A key fact. 44/ For the foregoing reasons, most TV/radio/online journalists are daily misstating the evidence in the Trump-Russia case. And I can also assure you that—like their savior Trump—Trumpers who shout "no collusion" mean "no [scintilla] of proof of conspiracy" and are *still* wrong. 45/ If we can't intelligently use these terms in civic discourse—and particularly if we let a moron like the president define what these terms mean, when they already have meanings—we can't have a conversation about the most important federal criminal investigation of our lives. 46/ I urge you to take every headline you see using the words EVIDENCE, PROOF, INDICTMENT, CONSPIRACY, or CONVICTION and change it in your head until it's correct as a matter of legal terminology. What you'll find is that in every case it underscores the situation as *more* dire. 47/ But even more than that, when we use these terms correctly it changes our sense of what public policy should be with respect to the Trump-Russia case—in terms of the *twenty* ongoing federal and state investigations of Trump and his family and aides, and in terms of Congress. 48/ Because here, now, is the kicker: to IMPEACH a president for high crimes and misdemeanors, you *don't* necessarily need PROOF that is BEYOND A REASONABLE DOUBT—in fact, each Congressperson gets to decide for themselves what standard they are going to use. And that's key here. 49/ It's key here because the allegations against Trump—both as to CONSPIRACY or other crimes like bribery or OBSTRUCTION—involve COLLUSION with a hostile foreign power, thus making this a "national security" or "counterintelligence" issue, where standards of proof are different. 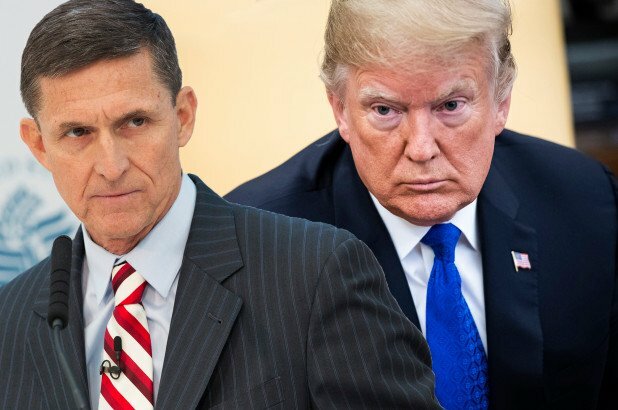 (THREAD) As we near the release of a heavily redacted Mueller Report, it's time to ask one of the *biggest* questions of all: when Trump and Flynn were briefed on August 17, 2016 about Russia attacking us and trying to infiltrate Trump's campaign, what did he say to the briefers? 1/ Did he tell his briefers about all the ways he knew his campaign had already been infiltrated and solicited? 2/ Did he reveal that he had a self-described “Kremlin intermediary” (George Papadopoulos) on his national security team? The only thing I would add is that this has *always* been the question. Trump has never stood accused of signing a before-the-fact agreement with the IRA or the GRU. His critics have always said that he traded policy for financial gain. So this is not in any sense a new argument. 1/ Flynn, Barrack, Gates, Broidy, Nader, and others are under investigation in the EDNY, CDCA, and elsewhere in what amounts to bribery investigations. These bribes were on behalf of Russia, Saudi Arabia and the UAE. Who the heck do people think was being bribed? Only one answer. 2/ Russia never needed or sought Trump's agreement to hack or spread disinformation, just as Trump's campaign didn't need to sign a form to encourage, profit from, and spread any hacking and disinformation. But *buying a foreign policy* costs money—and *multiple* nations *spent*. So @mkhammer *knows* the Attorney General specifically referenced *unauthorized* spying before Congress, which is why he had to walk it back and say he had no evidence of that. So what does she do? Goes on CNN and (smugly!) says the AG was talking about *authorized* surveillance. @mkhammer 1/ I'm sick of supposedly reasonable moderate conservatives telling untruths with smug condescension as though they're the only reasonable ones in the room. Senator Kennedy (R-LA) said Clinton's campaign was investigated. No. Hamm says the AG meant *authorized* surveillance. No. @mkhammer 2/ Mike Rogers says Trump saying "I love Wikileaks" 100 times in October 2016 was just "political rhetoric" and he can honestly now say he has no interest in and nothing to do with WikiLeaks (despite Trump Jr., Stone, and other inner circle Trumpers being in touch with them). No. 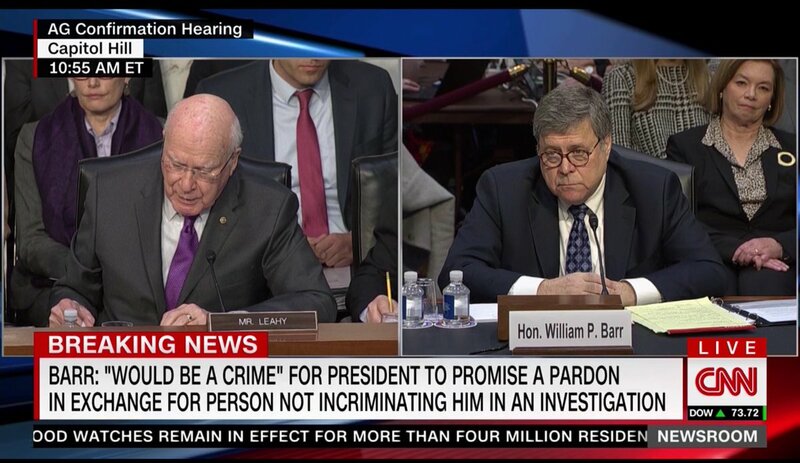 #Barr: It would be a crime for president Trump to promise a pardon in exchange for a person not incriminating him in an investigation. 2.Both Kryuchkov and #Gorbachev faced #Reagan as #President, and he was in the #SovietUnion´s eyes regarded as a very strong leader, the opposite of #Carter of #Ford, when dealing with them.